Koni's high performance division in Germany originally developed these special spring and shock absorber kits. 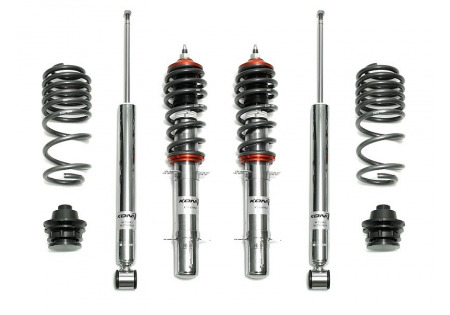 The Koni coilovers feature threaded, adjustable lower spring perches and progressive rate lowering springs. 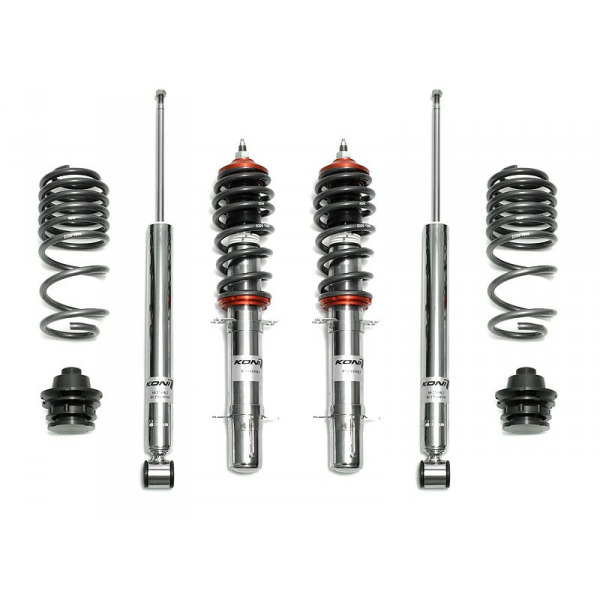 Each shock and strut feature adjustable rebound valving so you can fine tune the damping force to fit your driving needs.